Any address change completed after January 4, 2019 will not be reflected on the employee's W2 for 2018. Your address change will be updated once approved by your manager. See this help article for step-by-step instructions. If you are an employee without access to the HUB Employee Portal, please direct any change request to your current/former employer. For a host of reasons, including the protection of your sensitive data, we cannot release or take action unless directed by an authorized contact. 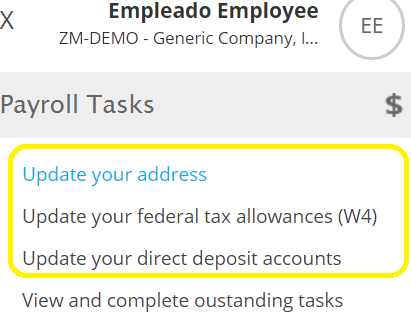 As an alternative to the HUB Employee Portal, payroll administrators may submit employee changes via email or using this secure form. For security, changes must be submitted by an authorized contact in order to be processed. Year-End Address Review: At the end of November, we will distribute a W2 edit list that provides the current address on file for all employees who were paid in the calendar year. Please submit address changes to us before the end of December. If you have no changes, you do not need to return the W2 edit list.